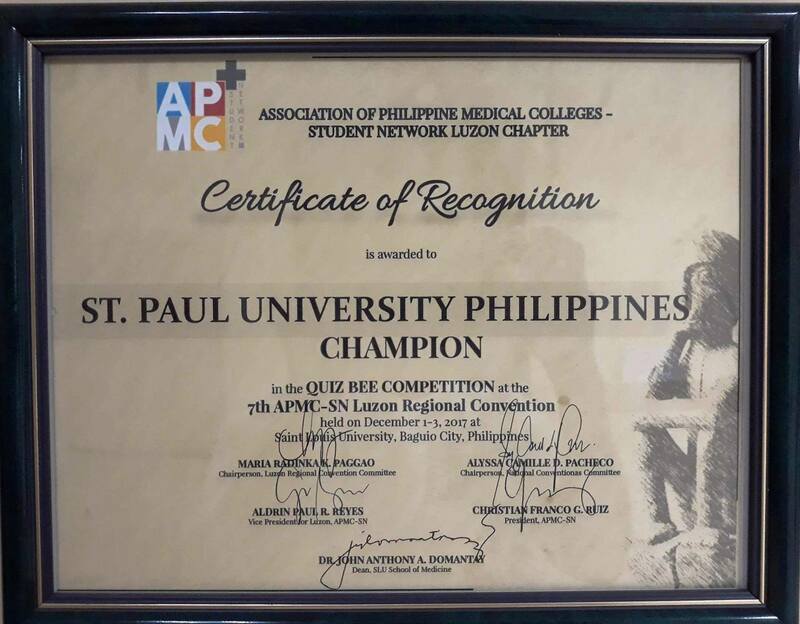 Thirty nine (39) Medicine students represented SPUP- School of Medicine in the 7th Association of Philippine Medical Colleges – Student Network (APMC – SN) Luzon Regional Convention. 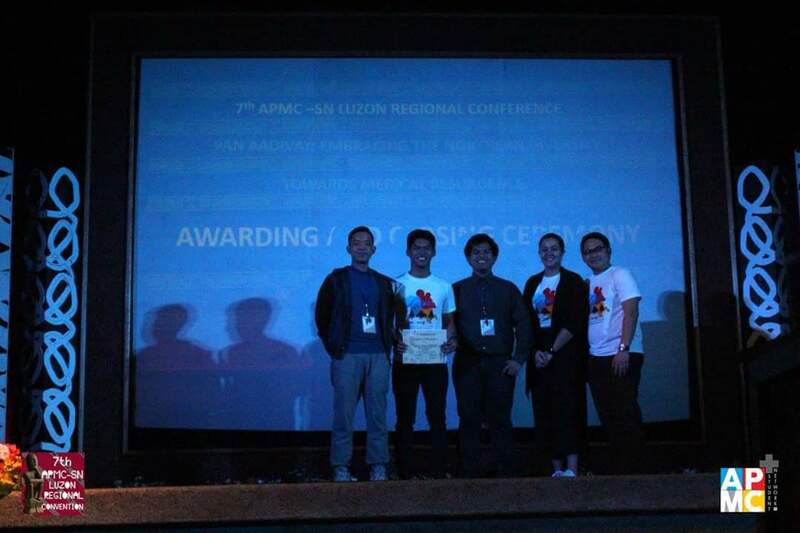 It was held on December 1-3, 2017 at Saint Louis University, Baguio City, with the theme, “Pan Aadivay: Embracing the Northern Diversity Towards Medical Resurgence.” The three-day annual convention was jam-packed with informative presentations and workshops from notable speakers, and exciting competition events. The activities were conducted to breed friendly competitions and to cater interaction among schools to update strategies to further advance their understanding in the field of medicine. Among the contested events, the Paulinian student representatives bested the other competing schools and garnered the following awards: Ria Lesly Lao-Ang, Marjorie Kate Ulep and Anastascio Allam III (1st place, Quiz bee); Gino Arao (1st place, Chess – Male Division); Krista Aguinaldo (2nd place, Chess – Female Division); Anastascio Allam III (1stplace, Scrabble – Male Division); Jamil Cabalza (1stplace, Scrabble – Female Division). Moreover, the representativesemerged as 2nd place in MedGroove dance competition,as well as in track and field competition during Palarong Medisina. The Association of Philippine Medical Colleges – Student Network is an assemblyof Philippine medical students represented by their respective Medicine Student Council working in partnership with the Association of Philippine Medical Colleges Foundation to promote an active role for students in the development of quality medical education. SPUP, making a difference globally!